UPDATED – This article focuses on the success level of various baseball college programs in the United States. The main aim is to enable the baseball fans as well as the team players to keep record of their success. Basically, it helps those interested in joining baseball colleges to choose the best school through comparing the best college program. They can only do so by following which college program is able to remain the best; at the top of others and at a sustained success level. There are plenty of options on baseball college program for the high school students looking forward to join baseball colleges. 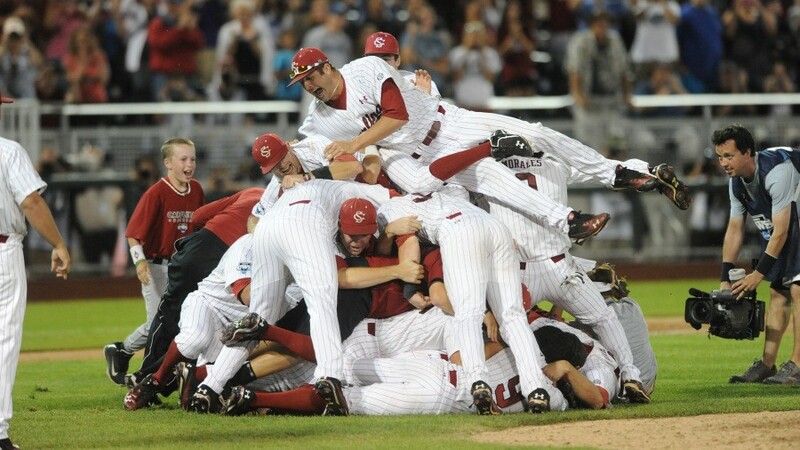 Every student with a dream of joining a big league of the baseball team wishes to join a national baseball champion. Unfortunately, determining a national champion baseball college in the United may require analyzed statistics on the success levels of such college programs. Baseball colleges are not well familiar as the basketball and the football colleges. Hence keeping track of the best college for baseball in the United States is never an easy task. Media coverage plays a great role in enabling the teams and the fans to keep a record of the success levels of various teams. However, unlike for the basketball colleges and the football colleges, baseball colleges receive less attention and coverage from the media thus making it complicated to determine who the best are. Additionally, most of the baseball college in America may dominate the best level for many years, hence making other colleges to go silent. Fortunately, we made it easier for you. I personally think that there are a number of programs in this list, which can be plausibly swapped around. You can even make a case for some of teams to be moved down or up. Having said this, I do not think there is any one in their right mind who might say that University of Southern California has not developed some culture of winning, conquering and dominating. This college team holds the records for highest national titles with 12 since 1948. The only team that come close to them is Texas, which will follow after this, who have half of this. Another thing which is worth noting is that the USC Trojans have been able to accomplish all of this in the Pac-12, which is one of the most competitive conferences in college baseball. Only until the past season, this great team was coached by Augie Garrido, who according to research is among the winningest coaches in the history of NCAA baseball. He coached this team since 1997, although this does not mean that Longhorns only started to do well since 1997. University of Texas has won about six national titles since 1949, and the most recent one being in 2005. 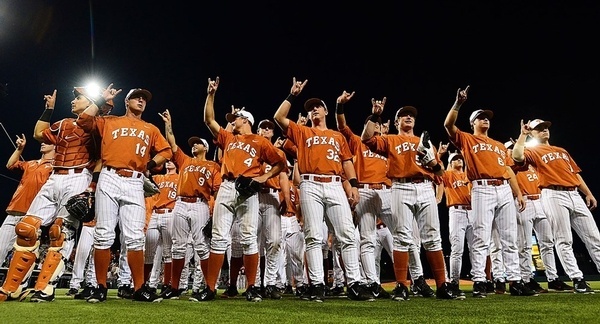 The longhorns have been able to win a whopping seventy-seven regular season conferences championships. 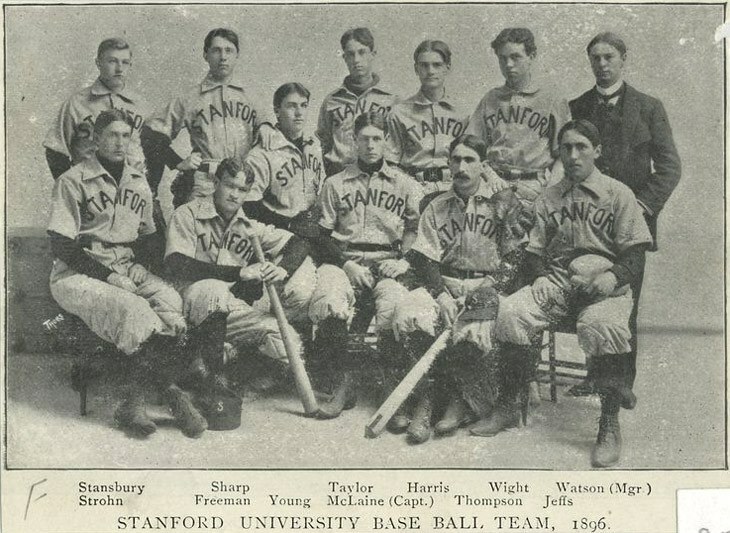 This team holds the record for most appearance in CWS (College World Series), with 35. I think the program from University of Texas is the first one on this list to have been continuously great and not just good for most of its existence. Their program have help in producing baseball great such as Roger Clemens, Calvin Schiraldi, and Spike Owen. 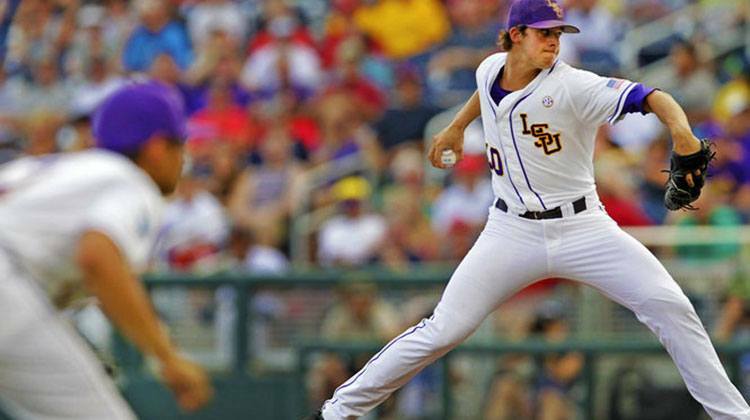 The Louisiana State Tigers might have football program, which is more famous compared to baseball program. That is truly a tragedy, since their baseball program is among the dominant/best team in Southeastern conference. Since 1991 the tigers have won about 6 national championships. Since 1986, they have had 18 College World Series (CWS) appearance. Do not mistake yourself that this is a case being good in 1970’s and then falling off. Although, this program have been in place since 1893, they have come into their own in the past decade. Also, about 8 players posted a betting mean above .300. The LSU Tigers team tend to do well in their athletic pursuits, and I do not think their baseball program is any different. Just like Louisiana State Tigers, the Miami Hurricanes are well famous for their great performance in college football. 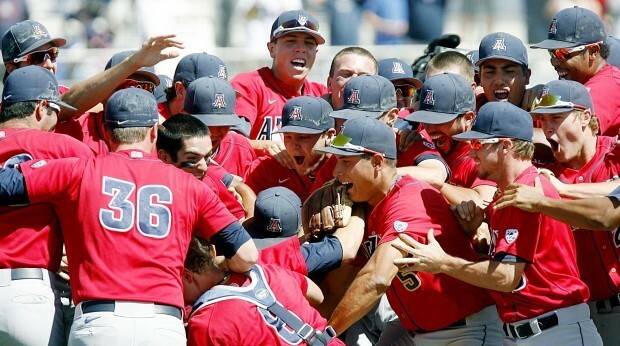 Despite this their baseball program is among the best elite in the nation. Jim Morris their head coach has spent more than 23 years with team, and during his tenure, he helped the ‘Canes’ flourish into the powerful team they are today. One of their recent title is 2001, although the ‘Canes’ has been able to accomplish a lot when it comes to NCAA Regional Titles, NCAA Tournament appearances, and College World Series appearances. Since 2014, the Miami have been champions of conference division. The Hurricanes have shown consistency across the board. This university possesses one of the biggest student bodies in California. You might wonder how they keep all those students well entertained. Well, through baseball. Just like most of the teams in this list, the Cal State Fullerton baseball team, does not win every year a national title. They have about 4 championships in their name, 2004 being the most recent. Despite that, the Titans have regularly display specific level of prowess, one year after the other. Since 1992, they have appeared in NCAA tournament. While since 1975, they have 17 times in the College World Series. They have never had a losing season since they day they enter Division I. One thing is evident, this baseball program of California State University is full to brim with talent. Compared to their competitors, Arizona State Sun Devils are somewhat new team, they had their first season in 1959. Even though they have had a short lifetime they have managed to rise and become one of the best successful baseball programs. They have been able to claim a whopping 5 national titles. Since 1981, the Sun Devils have not been able to win any championship, and they have not even reached College World Series Runner-up from 1998, although is not to say that this team are not still doing great. This team have been very consistent, and they only lost their season in 2003. Arizona State University managed to own their Pac-12, and they got reputation to show. This shows that the Wildcats were a powerhouse team, a decades ago, and they are still dominate the baseball today. 1904 was their first season, which makes Arizona Wildcats team a place where most main league players got their start. For years Arizona has become home to players such as Jerry Kindall, Rob Refsnyder, and even the likes of Trevor Hoffman. As you have read this list, you must have noticed California is a very competitive place for NCAA baseball. Therefore it’s not a surprise that Stanford University, a competitive university in U.S has such a competitive baseball team. Even though the Cardinals have won only two nationals titles they are among the more storied teams in baseball. This program of Stanford University dates back to 1982, giving them a rich history of achievement and success. That is not to say that they have not recently done well, either. In 2003, 2001, and 2000 they were College World Series runner up. This program have brought up different future MLB players, have appeared in several NCAA Tournaments, and broke many records. This university is well known for its hockey and football teams, though their baseball program is historically one of the best one. 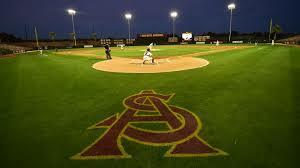 University of Minnesota in Minneapolis has three national baseball titles under its belts. It won its titles long time ago, therefore explaining its low placing in the list. Even though this team does not win championships severally like other teams, it has appeared in a number of NCAA Tournaments, while being frequent conference champions. They have been crowned conference champion in recently in 2016. From a state that is famous for hockey than baseball, this program has managed to achieve significant deal of success. Based out in Columbia, University of South Carolina is home to fairly several prestigious athletic programs. One of these is baseball program that have seen a good deal of steady success in Southeastern Conference. In 2011 and 2010, they managed to win 2 national championship. In 2012, they were runner-up of CWS (College World Series), which should give you an idea of the latest dominance. 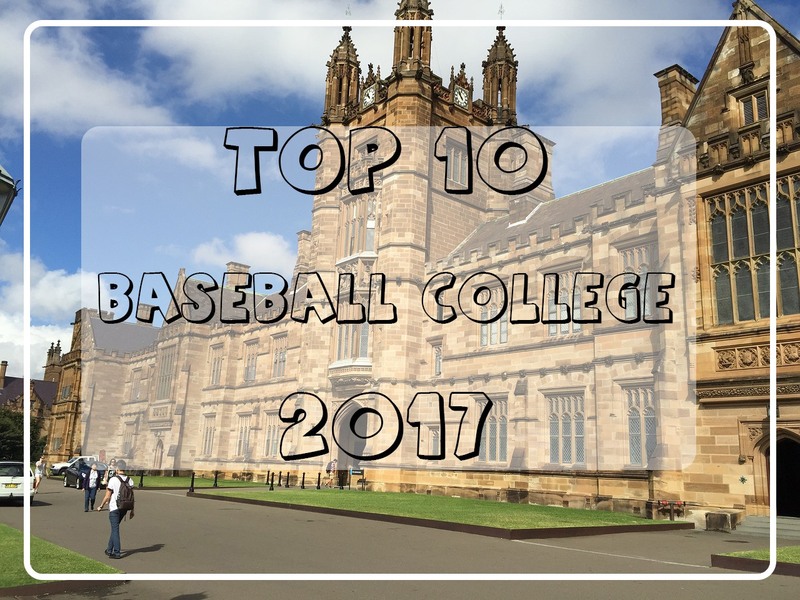 In this article I have talked about the best baseball colleges in U.S, and the reasons why each program has earned its place on the pantheon of baseball history. 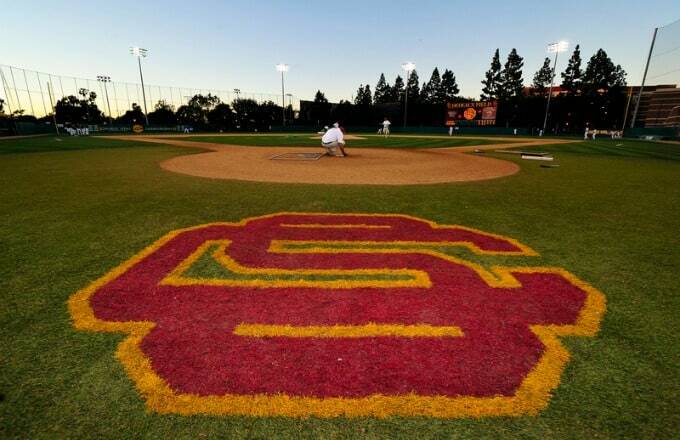 I feel very confident saying that USC Trojans are probably the best college baseball team. Though being inside a top college doesn’t mean that it’s a surefire way of going to the nationals. It also depends on the player whether he have what it takes to be the best baseball player, therefore assessing ones physicality and mentality plays a great role. But with the right mindset, anything is possible.